Send your post-event survey to those WHO DID NOT REGISTER for your event. You can upload a contact list of email addresses to which you send the post-event survey. If you don't see your preferred name badge or certificate template in the stock list, now you can create your own! Plus, fixed a pesky little critter in the Big Red Box display. 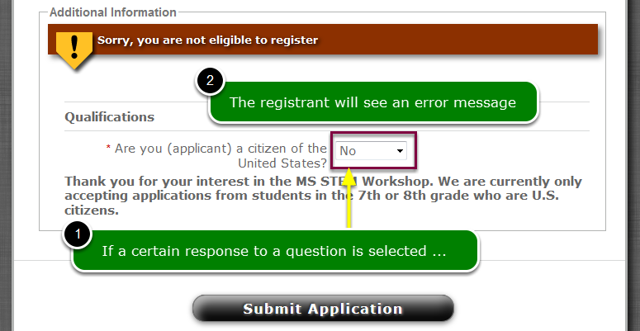 If turned on, any person choosing a certain question response will be blocked from continuing to register. This is useful if you have requirements that must be agreed to before your event can be attended. You can set up any number of kill switches; there is no limit. See this article: How do I install a kill switch to prevent an unqualified registrant from registering? 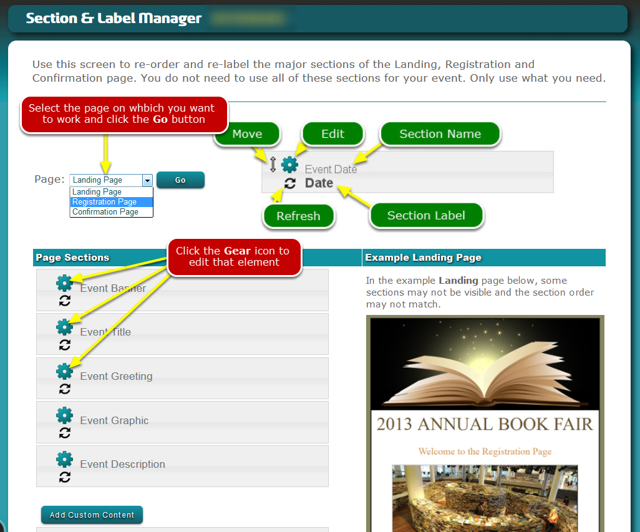 You can build out your event from this one screen, a page at a time. Set up your Landing, Registration and Confirmation pages from this one screen.